Reusable Time Travel with React Hooks and Immer — “If stateful React components are like an atom, hooks are the subatomic particles.” Learn how and why to make a useTimeTravel React hook that we can use to make ‘tolerant’ UIs (i.e. ones that support things like undo/redo). Engineers Build Business — Ship faster because you know more, not because you're rushing. 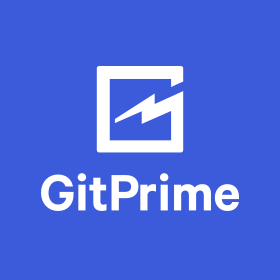 GitPrime aggregates historical git data into easy to understand insights and reports, to help make engineering teams more successful. Debug your development with objective data. Learn more. react-movable: Drag and Drop for Lists and Tables — Vertical drag and drop for lists and tables with no additional markup needed. Accessible and touch device friendly too. Live demos. Why Isn’t 'X' a Hook? — Everyone’s excited about hooks, but Dan Abramov takes a deep dive to explain why not everything in React has to be shoehorned into the hooks paradigm. React Team Seeks Help with Translations of React's Docs — If you have experience maintaining localized docs, the team want to hear from you. React Native Developer - Remote — Join our fully remote team and help bring one of the leading recreational poker platforms to the mobile world. A React Introduction For People Who Know Just Enough jQuery To Get By — A 2019 reattempt of a similarly titled article from 2015. This is aimed at less confident developers who want a walkthrough of a basic project. Understanding Fragments in React — When you return/render JSX from your React components, you’re forced to only have one parent element which often results in wrapping what you really want to render in an otherwise pointless div element. Fragments help you work around this. How to Use React Testing Library to Rewrite an Enzyme Component Test — A mini-rewrite case study of two testing libraries. Using React Navigation 3.0 in React Native Apps — React Navigation provides routing and navigational features for React Native apps. React's Official Versioning Policy — Generally speaking, React follows semantic versioning (semver) principles. React Switch: A Draggable Toggle Switch Component — Supports custom styling, is touch friendly, plus accessibility-friendly features. Demos here. react-spring: A Spring Physics Based React Animation Library — Simple, spring-physics based primitives for building UI animations to beyond where CSS can scale. Relay: A Framework for Building Data-driven React Applications — Version 2 just came out and now uses the new Context API rather than the legacy one. It also steps up to React 16. Chatt: A Real-Time Offline Ready Chat App written with GraphQL, AWS AppSync, and AWS Amplify — A complete app you might want to poke around in if you’re trying to bring these technologies together yourself.